In some point of late 14 century, a man called Tamerlane escape in a desert after defeat in a battle. He was exhausted and lost all hope of victory. Then he noticed in that vary desert sand-- an ant tried to carry a kernel of corn. The grain was much larger than the size of ant to uplift it. But, the ant did not give up hope. Tamerlane counted: 69 times the ant fell back and on the 70th try the ant was able to lift it. Tamerlane was so motivated by this display that made him able to fight back, got victory and stretched his empire from Turkey to the border of Tibet, and from southern Russia to Oman. But, that was another story. The story serves to illustrate the maxim: "if at first you don't succeed, try again….try again... try again." 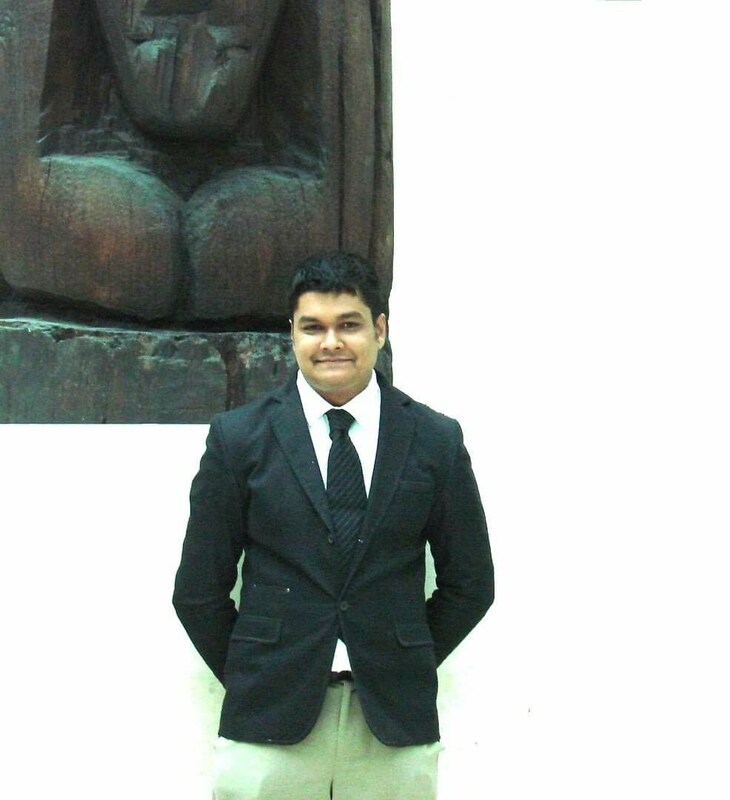 Now, fast forward in the year of 2015, a man named Manvir Patel was working as a software engineer in Dubai. He was temporarily residing in that city as a foreign worker with his wife and 4 years old son. He left his little Indian home town few years back for better earning and better living. Besides, foreign job enabled him to bare the cost of routine expensive treatment of his father-back in home who was suffering from cancer. Things were going well until one day he got noticed from the company that his job contact is going to finish soon. At that very moment, as you can guess, he could not think of a second option that will enable him to support his huge family cost in future. Then, one day, a sympathetic friend suggested him to apply for Australian Migration. Because living in Australia can ensure him a well paid career. He immediately assessed his migration eligibility with a lawyer and as an engineer working for a long time, he got qualified. The only obstacle came between him and his dream destination--- was the IELTS Test. 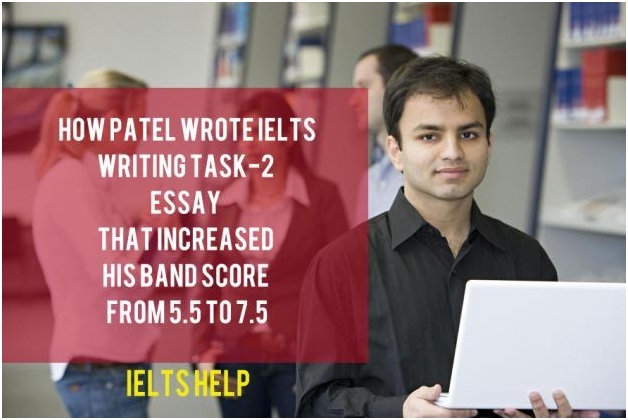 He needed band 7.0 in each 4 section of IELTS Academic Module as per the application requirement. Hopefully, the first time he scored 6.5 in each section: reading, writing, listening and speaking- which made him convinced to touch the benchmark of band 7.0 in next attempts. So did he………..he practiced a lot----- and was able score 7.0 in reading, listening and speaking section. But, his fortune did not favor him in case of writing section. His score ranged from 5.5 to 6.0 in several consecutive attempts. But, he could not simply give up as the financial need of his family was vulnerable. So, the story goes on. "In my last attempts I have done rigorous practice from 9am to 11pm for three months by using the various and latest IETLS materials. In addition, I joined British Council Saudi Arabia for 36 hours IELTS preparation course." But, you know what? He failed to achieve IELTS Writing Band 7.0 in his next 5 successive test attempt. You can see that famous saying “practice makes perfect"---- proved wrong for him. At least , he was not lucky enough like some historic figures as Temerlane who enjoyed success with recurring attempt. Then, one day, he stumble upon IELTS Help and find this post explaining how to write excellent IELTS task-2 essay. He was enlightened by my tutorial and request me check one of his Task-2 essay—if it is following offical high band rules or not. Then I checked his essay and it all made sense. I am not surprised why he could never touch the band 7 benchmark. He made 3 glaring mistakes. And when he fixed them? WOW! His writing band score just jump to band 7.5. Well, can you guess the mistakes he made in his earlier tests? I'll tell you, but first let me tell you about the #1 reason why people struggle to write a high scoring answer. When people start writing in their IELTS writing test, they do it out of reflex. Or habit. They want to write whatever comes in their mind… they like to answer the task from their own point of views and just splash those views in the introduction, body and concluding paragraphs……and they think it`s splendid to do so. I have checked thousands of IELTS essays--written by candidates from 12th graders to university graduates. And almost 90% of them boxed themselves in the same mistake. They were stubbornly reluctant to admit their faults. IELTS writing task-2 essay requires a different skill set than “writing” whatever comes in mind. By the way, I would like to inform you that after a long research and trying many methods with my students for the last 10 years, I finally got simple IELTS Writing preparation method that really works to get over band 7. Undoubtedly, the literacy rate of people achieved tremendous growth these days because of the effort of both individual and government. But it is dubious that whether the number of graduates is compatible with their need in the society. Others think that a progressive society benefit from the increased number of graduates. I do agree with the former’s opinion while considering the global situations. Firstly, a large number of students are measured out from different universities each year and it is difficult to pursue job according to their educational qualifications. The fact that a lot of graduates are wandering here and there without getting job, makes one to think that universities are producing graduates in number more than needed. But at the same time, there is a great scarcity of manual workers and such jobs are being done by interstate labors. On the other hand, it is the individual choice and right of a person to enroll in university education and society benefits an educated people/person in some or other way. So that government cannot degrade the importance of university education. It is the attitude of the people about white color jobs and labor works should change first when degree holders ready to work in paddy fields or in construction work by accepting the dignity of labour can definitely change the phase of society. The knowledge and skills which are acquired from the university may help them to implement novel ideas and which will make revolutions in that job. To sum up, the importance of university education is degrading in our society for the shrinking demand in the job market. It had better equip students at secondary or higher secondary level with vocational skills which will enable them to pursue such jobs in the future even though they are degree holders and should teach them dignity of each labour at very young age. It’s a little longer. You can skip it to check it out next time. Did you read the essay? If so, can you guess what went wrong? Mistake #1: Introduction: Don't Screw it Up! When you look at his essay introduction, it’s clear he write a clear background. Some people believe that universities are producing graduates than needed and that less emphasis should be placed on university education. Do you Agree or Disagree? The last sentence was the thesis of the essay. Well, thesis of your introduction is a short sentence where you clearly state what you are going to explore in this essay and how you are going to explore it. This is an agree/disagree essay. So, you have to clearly state the point you agree or disagree and how you are going to support your view. I do agree with the former’s opinion while considering the global situations. And look at the underlined part of the question again to see the focal point of the task- you need to agree or disagree on. Some people believe that universities are producing graduates than needed and that less emphasis should be placed on university education. It is agreed that higher education should be given less priority because of the growing need for manual and technical workers in our society. Well, that`s a well written thesis statement. Because, in this example, it`s obvious which side of the argument the candidate is taking and the reason behind it. See, this sentence states that “higher education should be given less priority” (Argument to agree) because of the “growing demand for manual and technical workers” (Reasons). Don`t to screw up your IELTS essay introduction. Let’s say you`re reading Patel`s essay. Here, the first sentence tells us that a lot of graduates could not find job after measured out from universities. But, it is bit odd to place this kind of sentence at the beginning of a body paragraph. Because, you need to describe a single topic while starting a body paragraph- this topic should resonate with the thesis statement of your introduction. The reasons are: Increasing demand for manual & technical workers. In other words, you need to discuss how the needs for manual and technical workers are ever increasing and how it relates to the declining demand for university graduates--in separate body paragraphs. Firstly, there is a great demand for manual labor in our society compare to educated white color workers. For example, in numerous big scale construction projects, there is a great scarcity of manual laborers like welders, plumbers etc. and such jobs are often done by laborers who have no skill-wise education. On the flip side of the coin, a large number of students pass out from different universities each year and a lot of these graduates find it difficult to get a job according to their educational qualifications. This situation makes one to think that universities are producing more graduates than needed as desk workers or pencil pushers. And that`s what I call a good argument structure. I often notice, people fill their essay with quite a lot of ideas and while some of these are supported better than others; resulting a poor argument structure. Develop each of your point of view with examples and reasoning to remains clear throughout the essay and to achieve a higher score. This is a an agree/disagree essay. You need to say why you agree or why you disagree. Here he discussed the importance of changing university graduate’s perception about manual labor. He is actually giving a solution to this problem. I had not idea why on the earth he wrote that…when the question did not ask for solution to this problem. It just asked to agree or disagree about the issue and say why you took that position. Here, giving solution means going off-topic. And remember that task response is the first criteria to judge an IELTS writing answer. Any prudent examiner will simply give a poor band score in task response and judge other fulfillments like grammar, vocabulary or cohesion in the text. (7+7+6+7) /4 = 6.75= A BAND 7! Now, you see what`s the big mistake. You may think he did it once? I checked several of this essay with the same mistake. And there was some specific ways to answer each type. I showed him all and he conquered. In fact, he makes it fun to achieve his dream band score after my session with him. How can you write to a band 7 or higher essay in your IELTS test? Well, as I said, Patel had year long experience of IELTS writing with several trial and error tests. I just show him the major pitfall and that works for him straight. But, could the same method works for you. I will be glad if it does. But, you can guess, most of us are fresher in the arena of IELTS test. Listen. Do you think the 3 points I just mention here are enough for anyone to reach his destiny of IELTS writing band 7? You may say “Yes”. But I don`t think so. Well, because, what I mention here is a part of the whole picture. Because, I did not say anything about grammer, wording or orgranisation of an essay —each counted evenly in calculating a band score. In a nutshell, there`s lot to be said about generating high band score in the IELTS writing test. I`ve also provided some in-depth IELTS writing strategies in relation to how you can write a top notch answer. Somewhere in the line, I again decided to check your essay and direct you to achieve a top band score. The online writing correction session is open for enrollment today. It would be a peer to peer learning experince to amplify each other and to make change happen. I'm not charging a fee. Peer learning is a powerful exercise, and I'll probably learn as much as you will. If you're interested, please apply right away. The deadline is really soon as becasue this online seminar would be for only 5 (five) participants. Enter your details here to participate. do you also an account in youtube? Not yet...may be in near future.